The Southwest Cannabis Conference + Expo helps brands and organizations get exposure and build lasting and influential partnerships. The event is visited by those in the industry of marijuana from around the world and drawing dozens of brands to one floorspace. The three-day event was presented by MJ Freeway and Phoenix New Times. Staff MMJ would like to thank event organizer, Demitri Downing, for inviting Staff MMJ to a table on Day 1 at the Job Fair and Career Fair. Demitri orchestrated much of the media work for the Southwest Expo. He communicated a message of Arizona’s prominent placement in an industry that is in a rapid state of development. Staff MMJ team members met with job applicants and aspiring career seekers. Our team had giveaways and offered assistance with career training workshops. Alongside THC Jobs, two job-related organizations worked together to answer visitor questions during the Expo’s job fair. 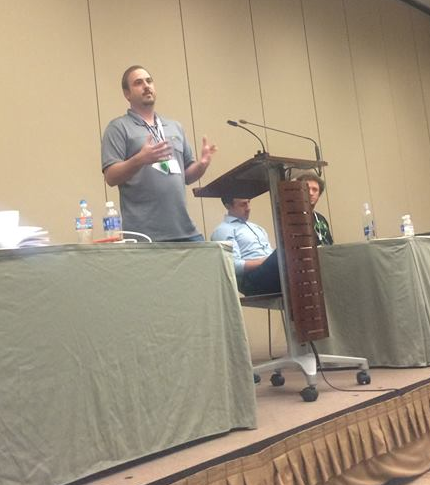 In addition to the trade show, the 2015 Southwest Cannabis Conference included more than forty educational presentations. Among the presentations, was a Concentrates Jobs pane. Chad Olshavsky spoke about career topics in the marijuana industry. 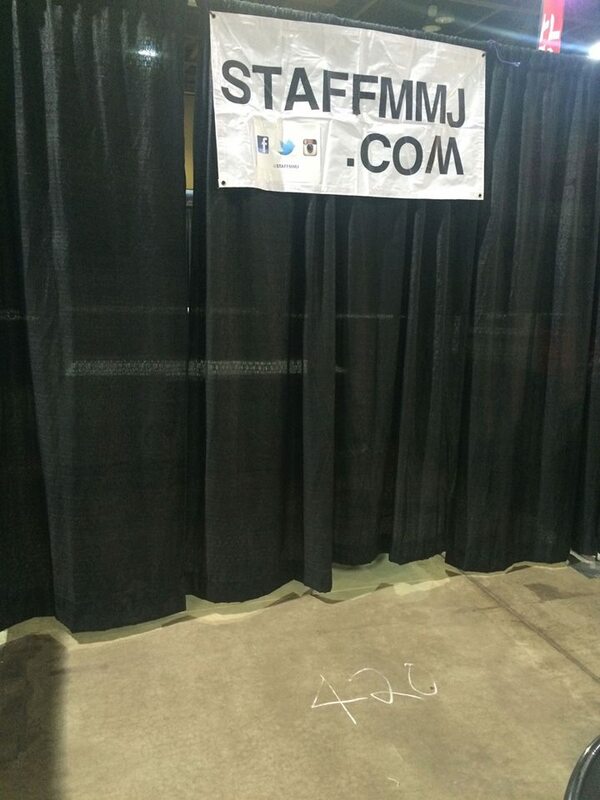 On day 2, Staff MMJ moved to the trade show floor and acquired booth #420. Over three hundred vendors had tables or booths. This is the first time Arizona realized Cannabis is going corporate. Other events have opened the doors, but the Southwest Expo helped propel Cannabis in a big way. Day 2 & 3 was dedicated to the all the brands and companies inside the trade show. 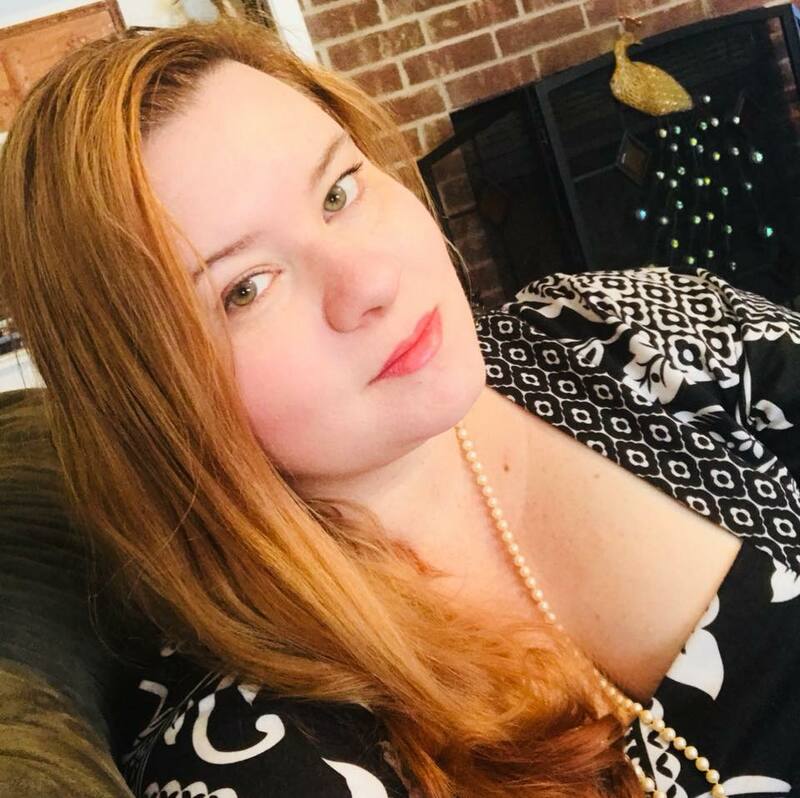 Staff MMJ had less than a week to prepare for the expo. We were honored when SWCC asked us to join them for the 1st annual expo. The only problem? We had no time to order signage. Being a new company with a limited budget, we made a $10 banner from a DIY kit with supplies purchased from Ace Hardeware. If you look closely, the M in “com” is actually an upside down W because all the M’s were already used. I printed the social media strip on my own computer. Was the event a success? Absolutely! 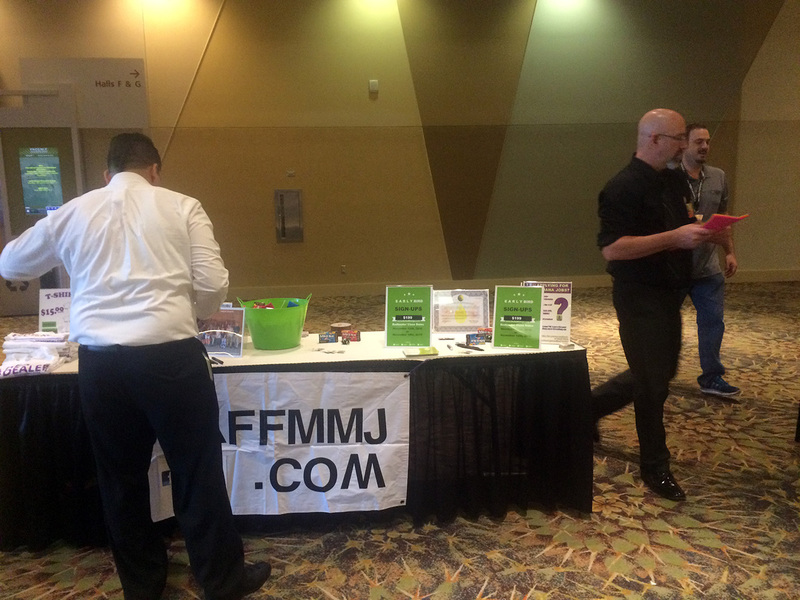 During the 3-day Southwest Cannabis Conference, Staff MMJ met with hundreds of prospective job seekers and future employer clients.